All credit for this idea goes to Matt Fraction. My apologies if it's been done elsewhere. 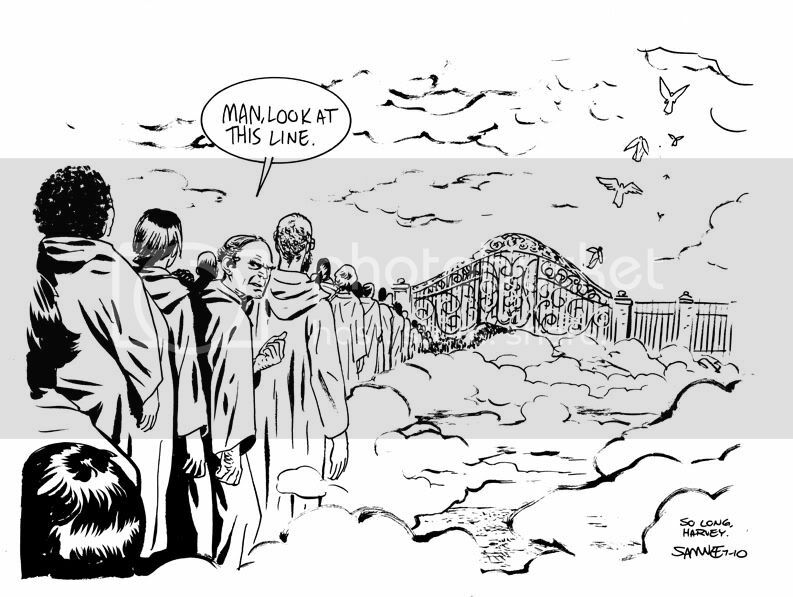 I illustrated two American Splendor short stories for Harvey in 2006 & 2008. I had no contact with Harvey, everything came through my editor at Vertigo, but I will always remember seeing his crazy layouts for the first time, in lieu of an actual script. Harvey was a unique voice in comics and he is missed. 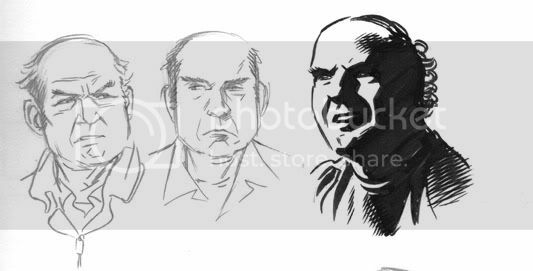 Here are also a few character studies I did of Harvey from 2006. I should really read more of Harvey's stuff. Great execution of that Matt Fraction line, Chris, and the fact you have worked with Harvey hels to add extra soul to it. Sweet! I wish I could be in that line when my time comes.